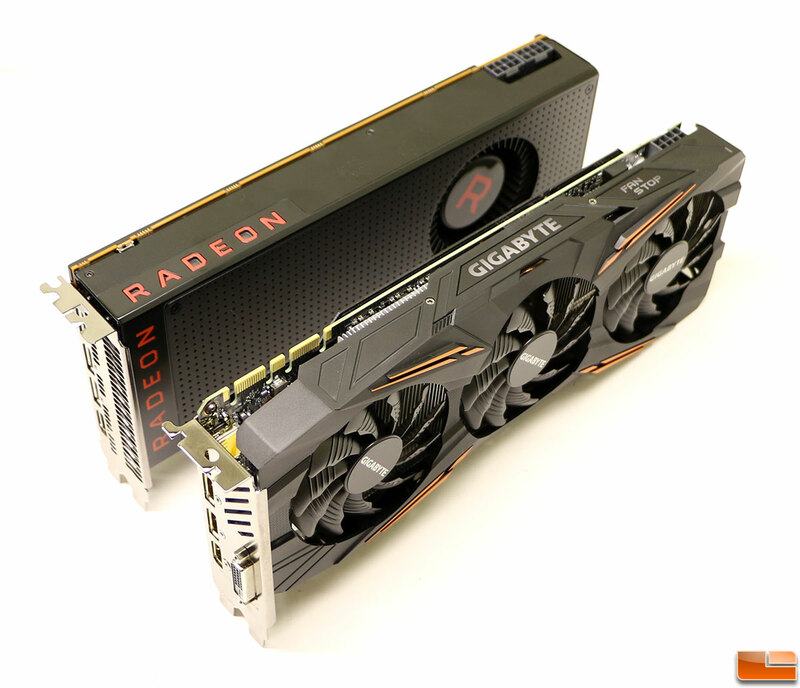 The AMD Radeon RX Vega 56 and the GeForce GTX 1070 is supposedly the sweet spot for three Vega cards released by AMD thus far. AMD is banking that the Vega 56 will be the high-performance card to buy at the $399 price point once it starts shipping on August 28th, 2017. Pricing is always an interesting topic and right now it’s nearly impossible to talk about as most of the cards in this price range are being purchased by alt coin miners. That is causing a supply issue that has caused prices to shoot up. You better go buy a lottery ticket if you can find a GeForce GTX 1070 or Radeon RX Vega for the MSRP anytime this month. On paper the Radeon RX Vega 56 looks like it would easily perform better than the GeForce GTX 1070, but what did our performance tests show? When we take a look at 1440P gaming performance the RX Vega 56 took the lead in Battlefield 1 and Deus Ex Mankind Divided that were tested running DirectX 12. The GeForce GTX 1070 won Gears of War 4, Fallout 4, Grand Theft Auto V and Tom Clancy’s Ghost Recon Wildlands. So, the Radeon RX Vega 56 took home 2 titles and the GeForce GTX 1070 won the other 4. When it comes to synthetic benchmarks the Vega 56 won 3DMark, the GeForce GTX 1070 won SuperPosition and we’d call VRMark a tie. So, they split the synthetic benchmarks with one win each. When it comes to power consumption, noise and temperatures the AMD Radeon RX Vega 56 proved to be more power hungry, louder and hotter. The AMD Radeon RX Vega 56 at $399.99 costs more than the $379 GeForce GTX reference design to cap that off. The Gigabyte GeForce GTX 1070 G1 Gaming that we used today has an MSRP of $429.99, so it is priced $50 more than that and $30 more than the Vega 56. We were expecting NVIDIA to reduce the GeForce GTX 1070 and GeForce GTX 1080 video card prices once RX Vega was released, but it appears they don’t really have a reason to. The miners are buying everything the board partners put out to sell and it doesn’t appear that the Radeon RX Vega 56 is going to put too much pressure on the GeForce GTX 1070 or GeForce GTX 1080. The AMD Radeon RX Vega 56 does appear to be the best bang for the buck with the Vega cards. If you are an AMD fan and wanting to build a nice new gaming rig with a display that features FreeSync technology the Vega 56 looks like it should do really well. This is because the FreeSync range on most 4K displays is between 40-60Hz and between 48-100Hz on some of the new 11440P UltraWide gaming displays. The AMD FreeSync Certified range is 30Hz to 144Hz, but most monitors don’t have a range that wide. Ideally you want the minimum frame rate to be in the displays FreeSync range to get a smooth gaming experience. Setting up a FreeSync display for your gaming system is less costly than an NVIDIA G-Sync solution, so that is one area that AMD will be heavily pushing with Vega. AMD made a move in the right direction with Vega, but what looks good on paper can be deceiving and don’t always translate into great real world performance. Maybe AMD can pull some more performance out of the new Vega architecture with driver enhancements in the months to come, but for now it looks like the year old GeForce GTX 1070 is standing strong.